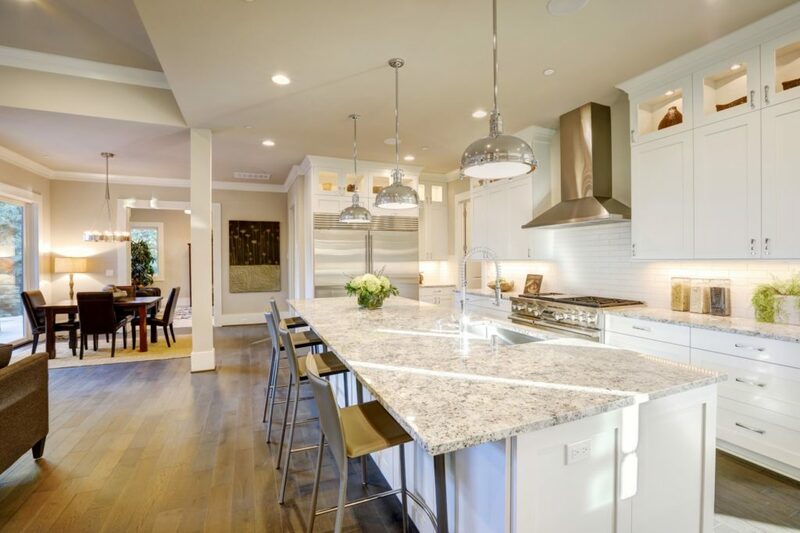 Are you thinking of remodeling or preparing your home to sell? Here are some easy things you can do to increase the value without a major renovation. Door knobs and cabinet hardware are an often overlooked item during renovations. A modern look is brushed nickel and a more old world look is oiled bronze. Build.com has a vast array of very inexpensive door handles, cabinetry hardware, kitchen and bathroom fixtures. If looking for high-end, Restoration Hardware Crate & Barrel, and Pottery Barn have nice selections but you can likely find the same thing by searching the internet. If you’re like many who purchased during the early 2000 housing boom in Las Vegas, you have oak or cherry cabinetry. Refreshing them in a dark ebony stain or satin bright white paint will completely transform your home and pay for itself. My advise is to consult a professional. 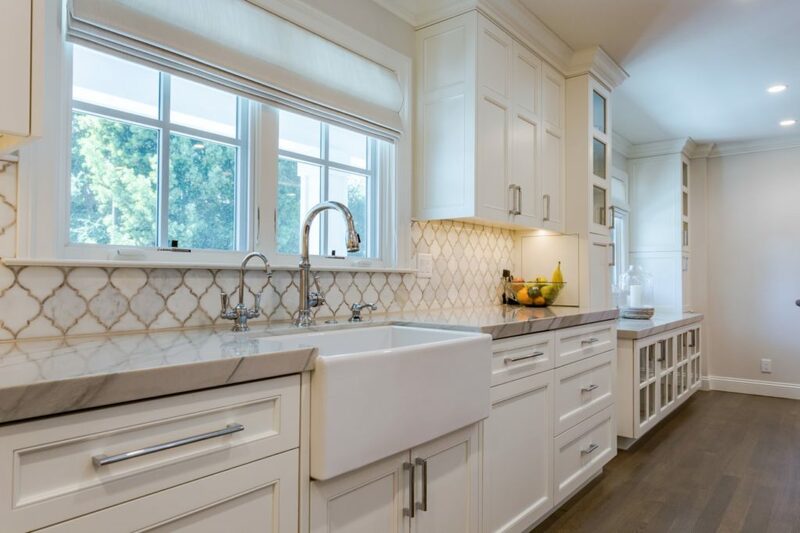 Even adding brushed nickel or chrome hardware can update your cabinets. Emphasizing one wall in the foyer or entry way, living room or dining room can make all of the difference. Adding brick or stone, textured wallpaper, a rich accent color, or ship lap, to a small space can also make a big impact. It will make the room feel cozy and adds character that more than pays for itself. 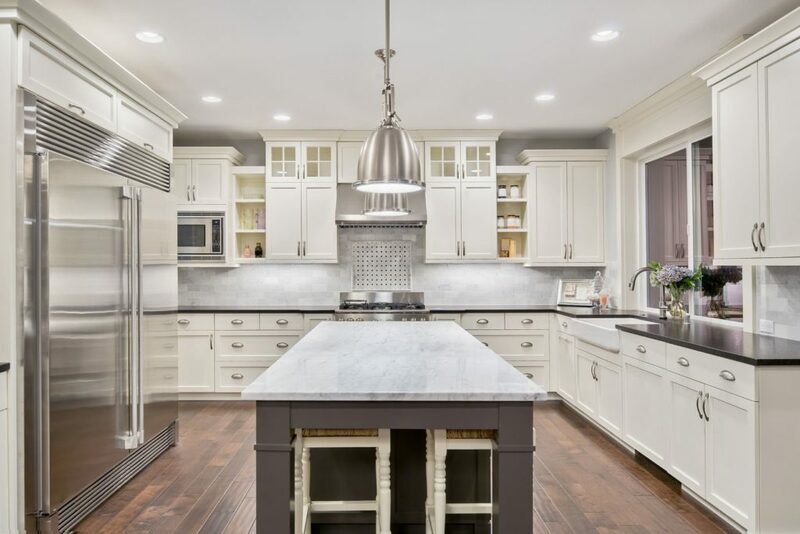 Some of the favorites for 2019 at Benjamin Moore Paints are Metropolitan Gray, Hale Navy, Decorator’s White or Kendall Charcoal. 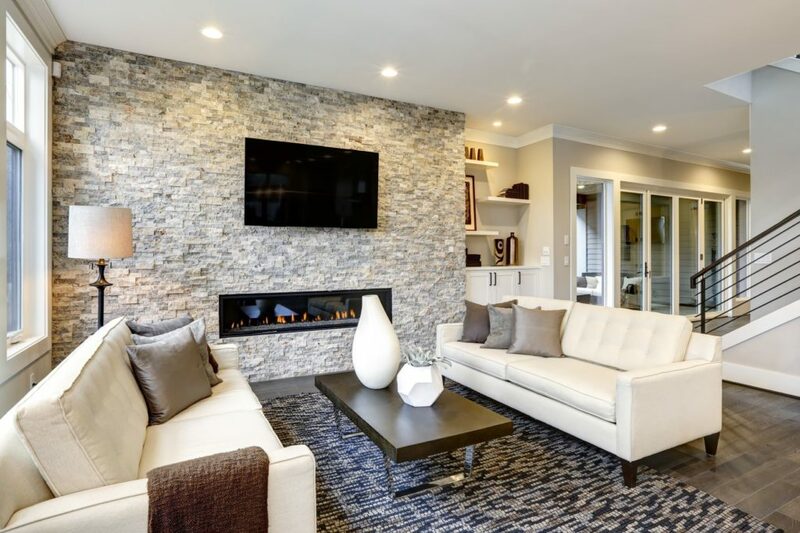 There is a definite trend happening with electric fireplaces. They look modern and are easy to install and maintain – no gas hook up required! You can find them for as little as $350 on Wayfair. With a little bit of drywall they make a huge impact in a niche. Lighting can also be used like an accessory. It sets the tone and style you want to portray plus adds lots of personality. You can design an entire room around a lighting fixture or chandelier. Lighting makes a statement, compliments your room and also creates focal points. You can mix it up a bit too – like a vintage chandelier in a more modern setting gives an eclectic vibe and creates interest. If in Las Vegas, my favorite store in the world is Northern Lights. They have an eclectic array of very unique lighting fixtures. Everyone can use extra storage space and it adds value to a home that is pretty equal to the investment. A basic professional closet design starts at about $2000 and goes up to several thousands. 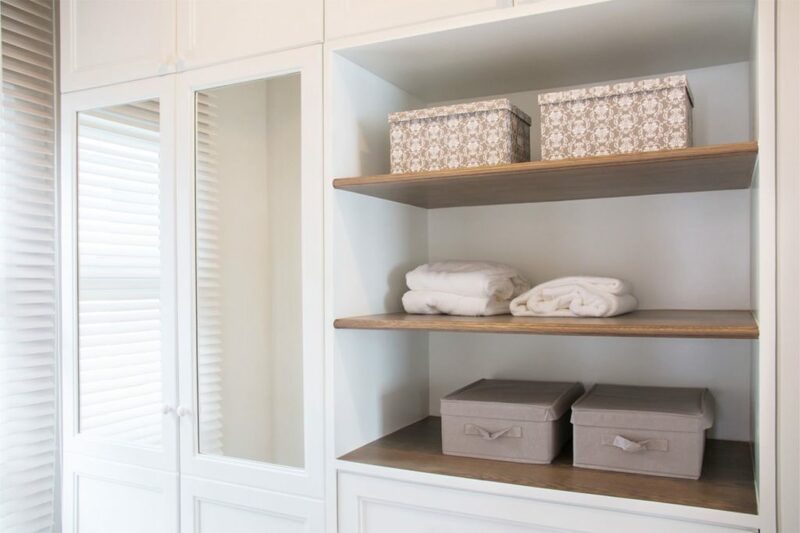 Adding shelving to niches and bathrooms adds a design element as well as more storage. In the living room, contemporary wall-mounted storage system pack a big punch and pay for themselves. 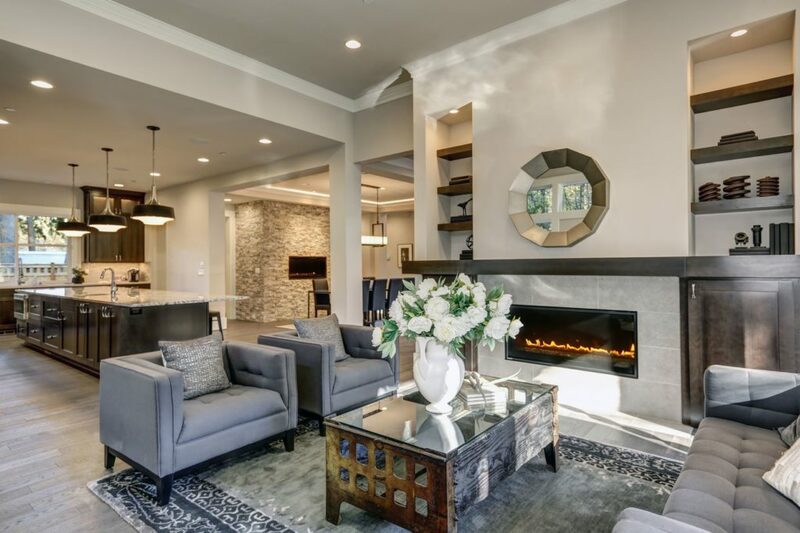 Using mirrors creatively in your home are good for capturing light and projecting it into those darker corners, creating textural and spatial illusions, and highlighting your favorite accessories by reflecting them into your vision from different angles. 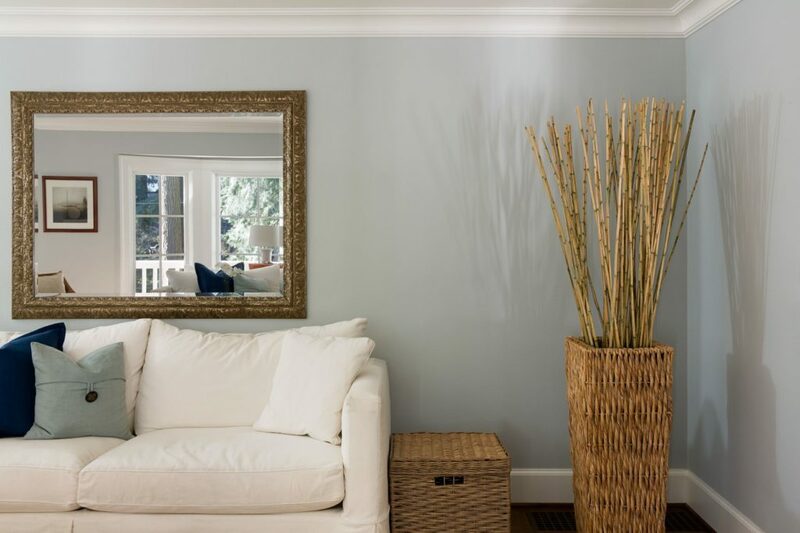 A huge mirror propped up at the end of a hallway, on top of a fireplace mantle or in a corner can create a whole new dynamic. 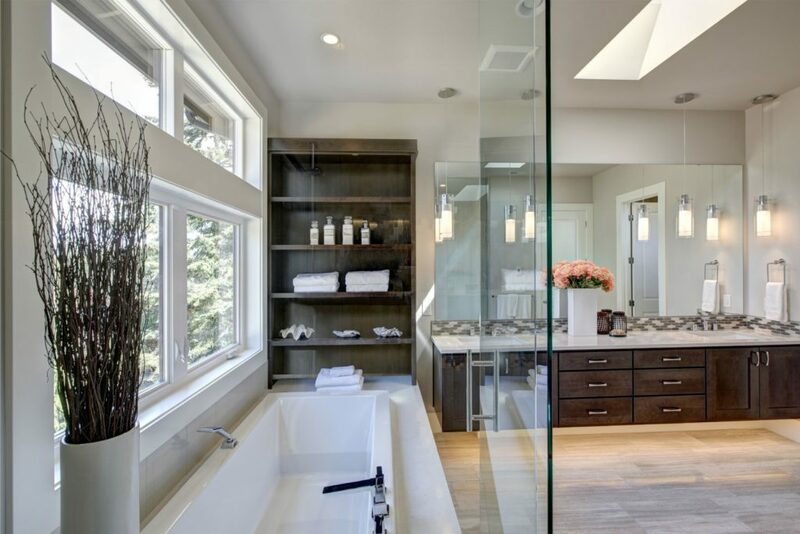 Also, much like cabinetry and bathroom fixtures, the mirrors over the sink should make a statement. 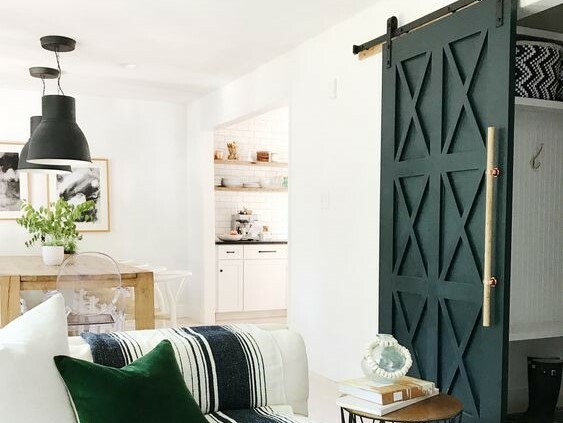 Adding a barn door in lieu of a regular door not only adds an asthetic value but also saves space. They are also a huge trend and will give you a 100% return on investment. Artisan Hardware has beautiful custom doors. Home Depot has basic ones or you can build one very easily. See my previous blog post with instruction. 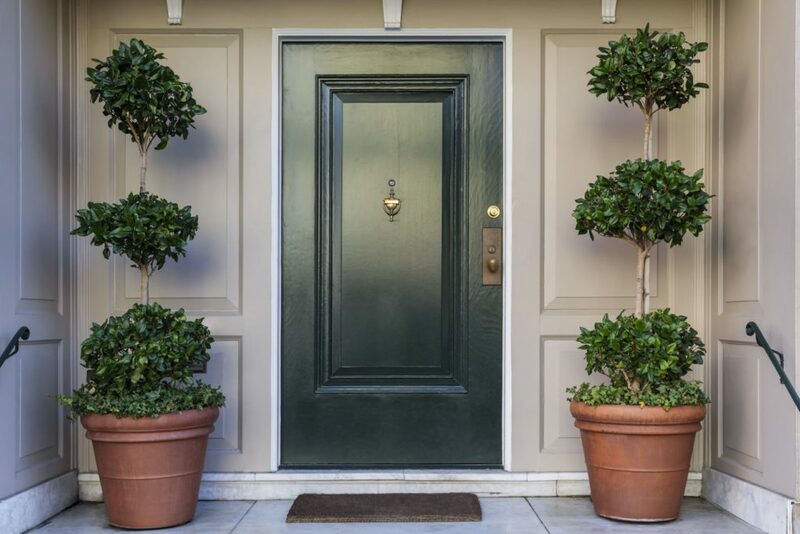 Aside from the front yard, the front door is the gateway into how polished your home is. If its chipping or lackluster it will be a big deterrent. Black is stylish, regal looking and goes with almost every color scheme. If you’re unsure, I would recommend going into your local Sherwin Williams paint store. The sales people are excellent at helping you to coordinate color. Consider refreshing your front yard. 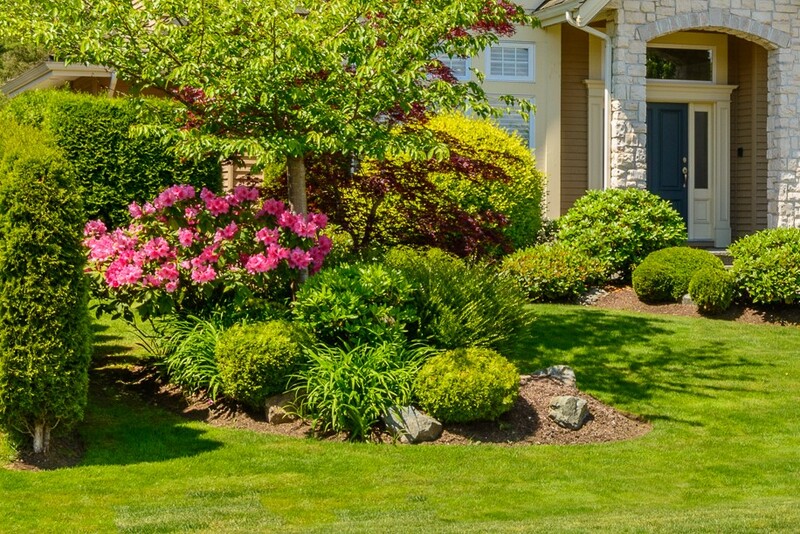 A well-manicured front yard is paramount! If the budget allows, add some flower beds, pots, and borders around trees. Always add in fresh rock, soil or mulch where needed. Patch dead grass, kill weeds, power wash front porch and clean off grease spots. 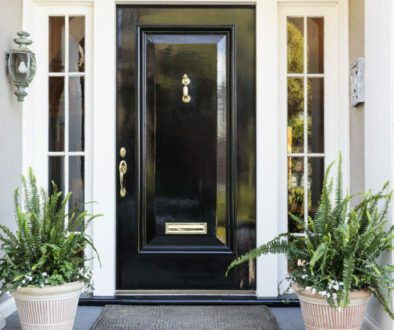 The front of your home is the first impression guests and potential buyers get when driving up. See my previous blog post. Consider updating your kitchen. For the purposes of resale, refinishing your cabinets in a dark ebony stain or a bright white adds a lot of value. Also, granite or marble counter tops, cabinet hardware, lighting and stainless steel appliances. Its not ideal to put hardwood floors in either the kitchen or bathrooms if you are considering a complete remodel. In my experience, updating your bathrooms and kitchen will recapture about 60% of the cost. If you bargain shop, you can find many trendy looking materials at a fraction of the price of the high-end stores. I like build.com for fixtures, hardware, and door handles. 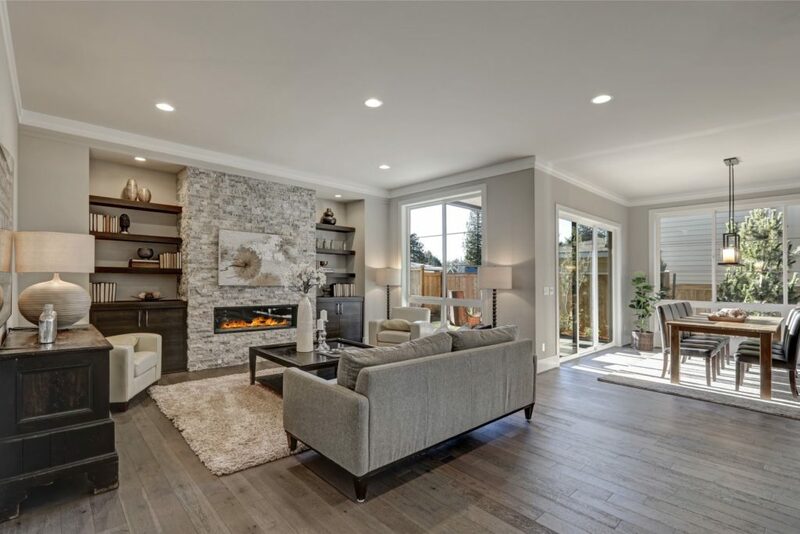 In Las Vegas, Floor & Decor has many high-end looking materials like hardwood, pergo, tile, granite, back splashes, quartz and marble priced much lower than I have found at other big box retailers. 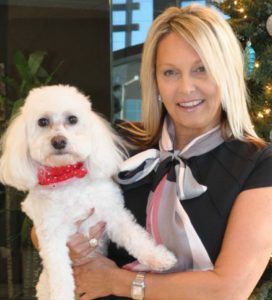 An experienced Realtor will be able to help you with what is trending in home sales. If you are thinking about selling in the near future and want to be smart with the return on investment, consult with a professional. 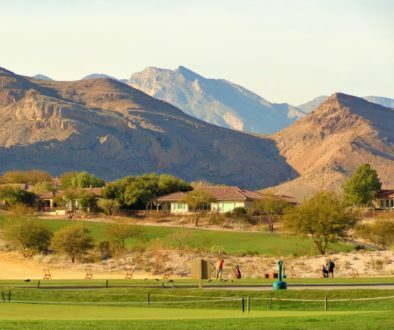 If in Las Vegas and need our assistance, see our Seller’s Guide. 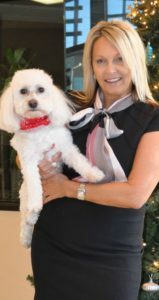 If you are in another area, contact us to find you a great realtor near you. 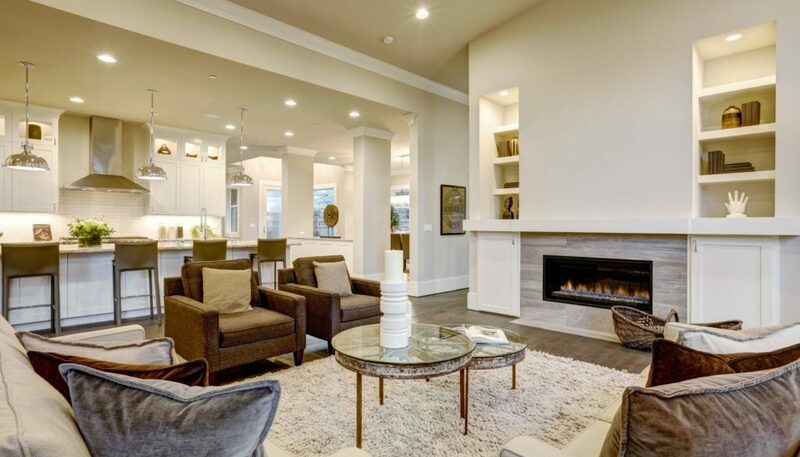 We specialize in Staging Your Home to Sell. See our special program to assist you in maximizing your bottom line. Don’t forget to sign-up for our blog with lots of new tips on staging, designing, and stylizing.